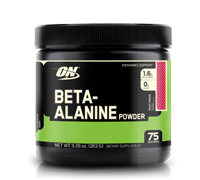 One scoop of ON's Beta-Alanine Powder provides 1.6 grams of pure Beta-Alanine. Stack the unflavored version with shakes and other powders to get you closer to your daily total, or mix up the flavored version in cold water. Getting about 3 grams a day should be your goal for training performance. 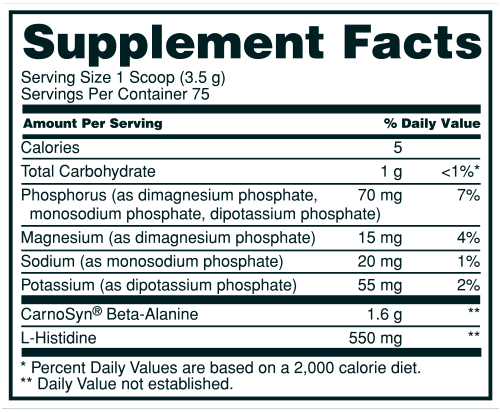 Directions: Add 1 scoop of Beta-Alanine Powder to a glass or shaker cup filled with 6-8 oz. of cold water or your favorite beverage. Mix or shake thoroughly for 15-20 seconds or until completely dissolved. Suggested Use: Consume one serving first thing in the morning and a second serving approximately 30 minutes before your workout (or mid-afternoon on non-training days). Intended for use in healthy adults as a part of healthy, balanced diet and exercise program.